Disney Resort Reviews brought to you by Disney bloggers and influencers. We focus on bringing you great Disney Parks and Resort reviews. 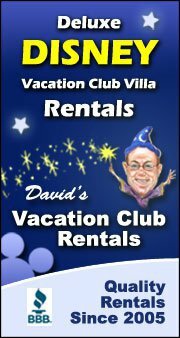 There are so many great Disney Vacations Resorts, Hotels, Cruise ships, and other accommodations. The Disney Grand Californian Hotel & Spa located in Anaheim, California is a luxe retreat into California’s past. Tour of this beautiful resort so conveniently located near Disney California Adventure and Downtown Disney. We are unapologetically fans of Disney’s Yacht Club Resort location here In our Boardwalk series you will learn why we think Disney’s Boardwalk is the best place to stay for your Walt Disney World Vacation. Disney’s Pop Century Resort is a value resort that is great for its convenient location, decade nostalgia and affordable price. It’s located in the World Wide of Sports Resort Area. Room rates range from $115-$160/night depending on room type and time of year. In this review of Disney’s Port Orleans Riverside Resort, Sarah of Moment Mom, introduces us to the charm of an authentic Louisiana themed experience. Join us on the Disney Bayou to learn about the Port Orleans Riverside rooms fit for your prince or princess, the convenient amenities of a Disney moderate resort, and the authentic Bayou cuisine at Boatwright’s Dining Hall.